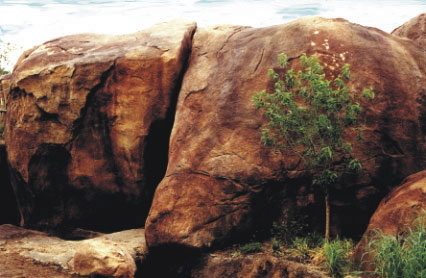 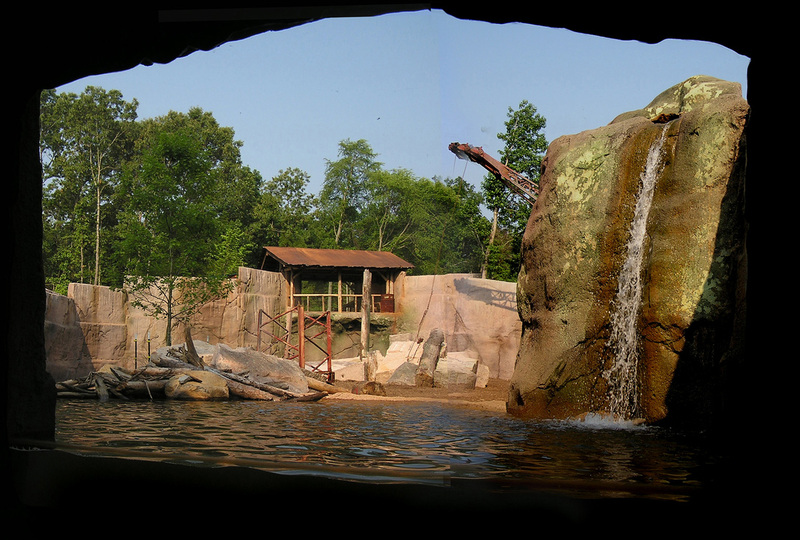 When approaching the design of each custom habitat, we ask the question, "Could it have happened in nature?" Too often, in man-made habitats, realism is spoiled when the designers attempt to create something that never could have occurred in nature. 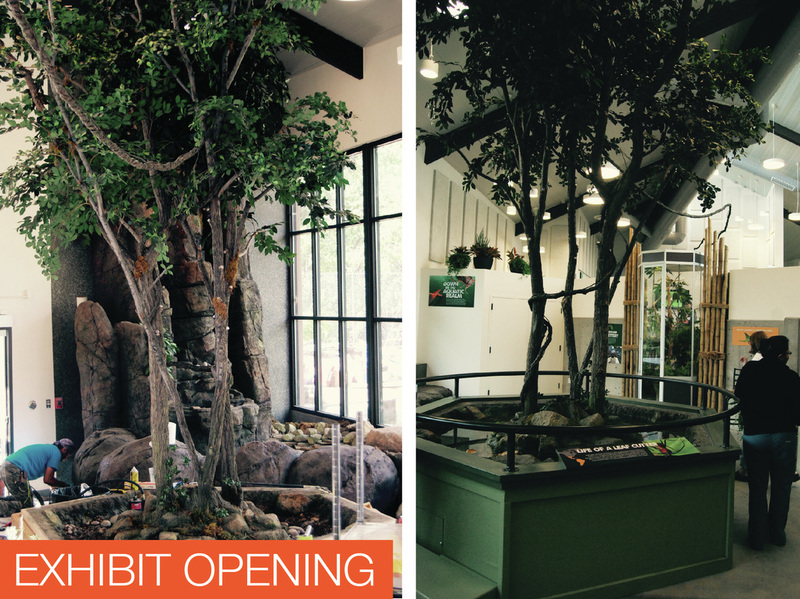 At Total Habitat, we take pride in following nature's lead. 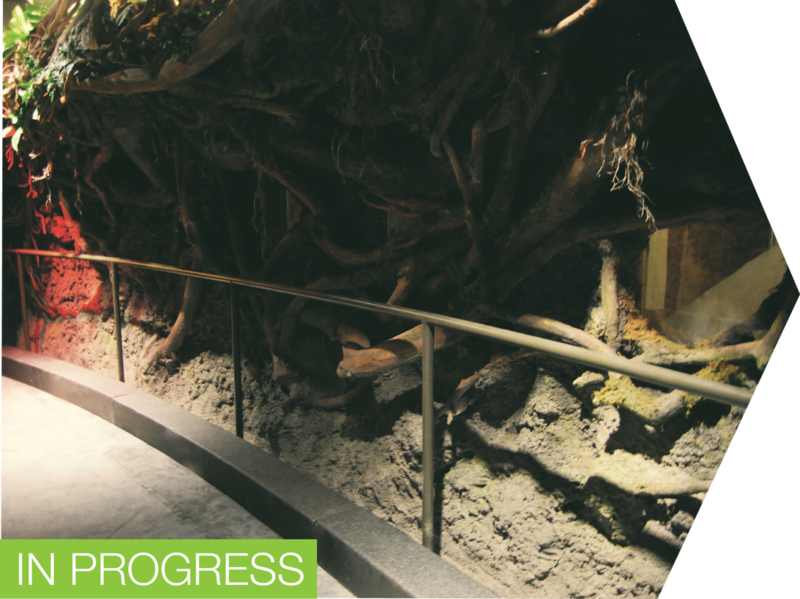 When we're done, the habitat will look as though it has been there for thousands of years and you are the lucky ones for building next to it! 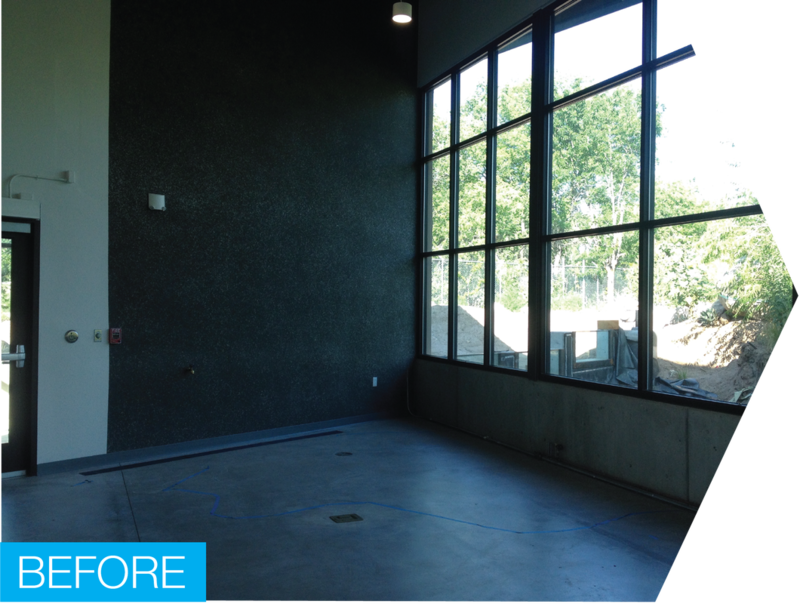 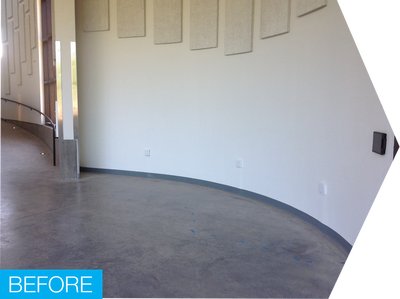 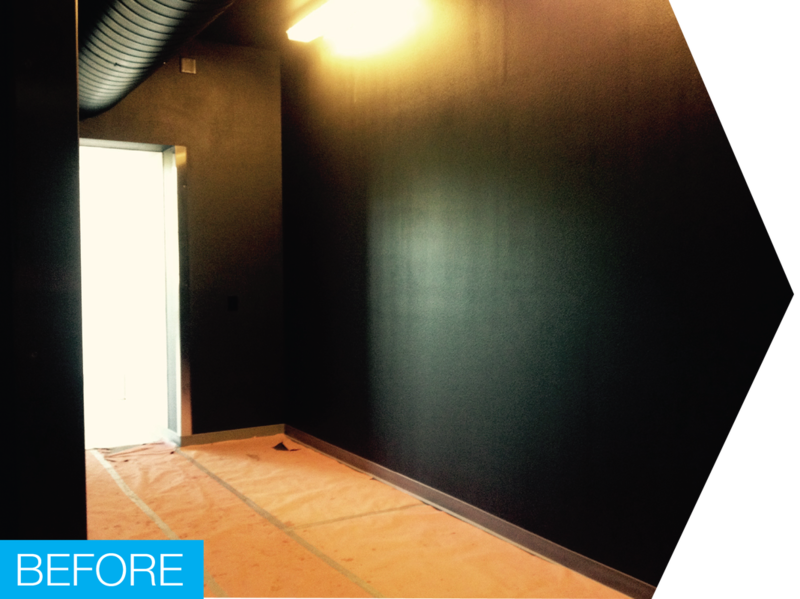 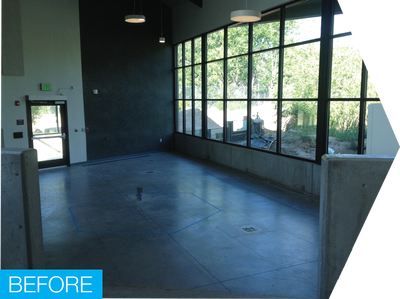 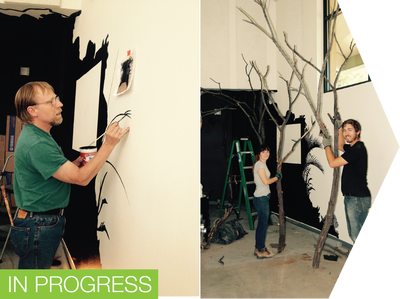 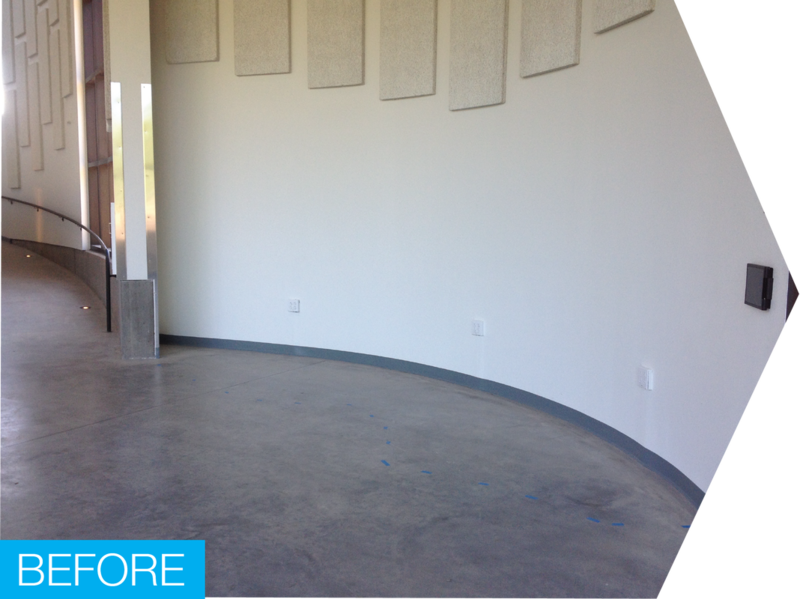 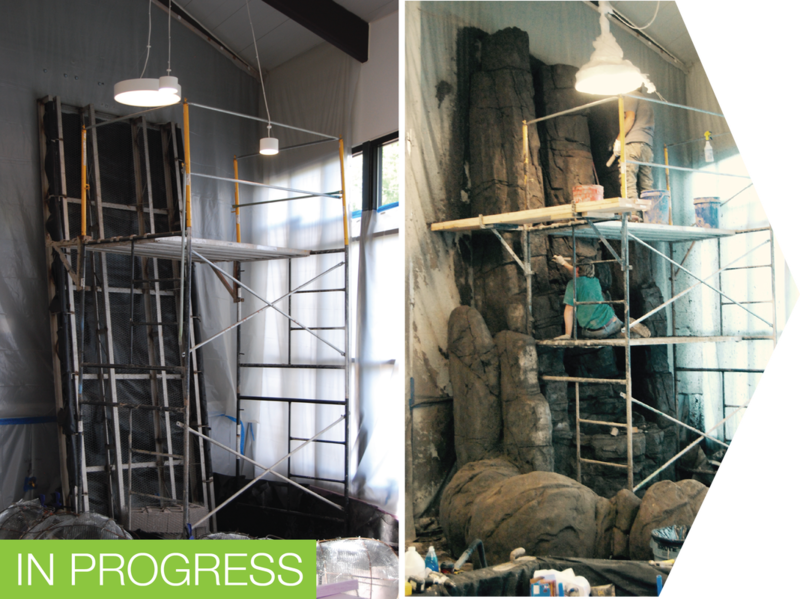 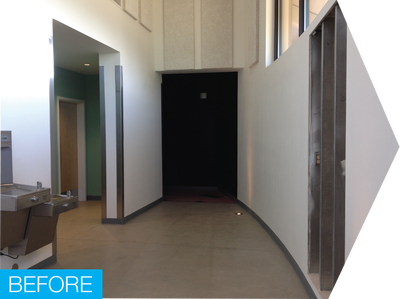 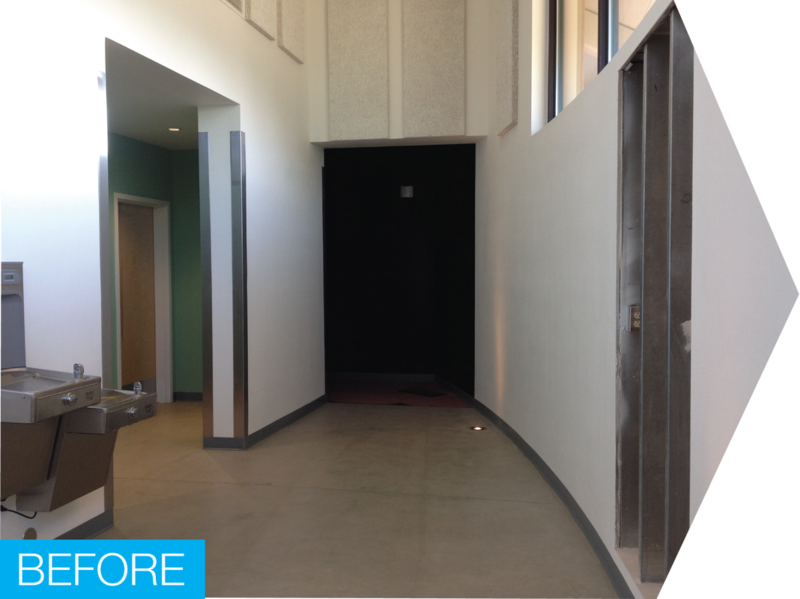 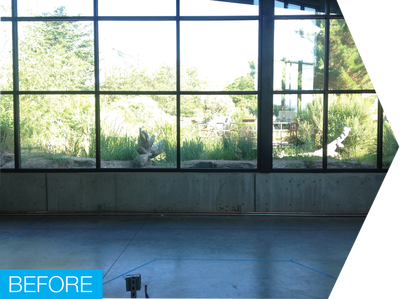 Above are before and after photos of Total Habitat's redesign of the Rowan Nature Center in Salisbury, NC. 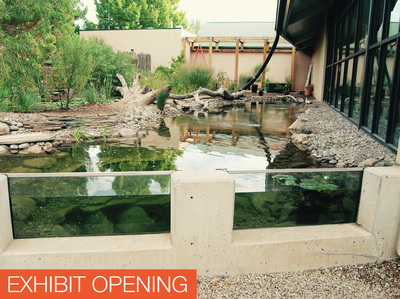 We transformed the exhibit into a North Carolina Wildlife immersion experience that takes visitors on a journey through a riverbed where they encounter the state's wildlife in their natural habitat. See below for more pictures of this project and others. 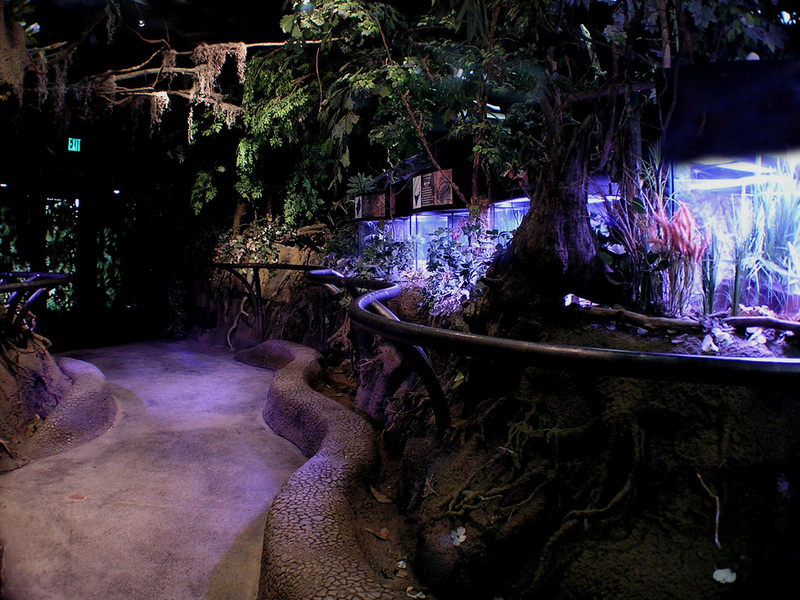 Visitors are led on a winding path through the riverbed. 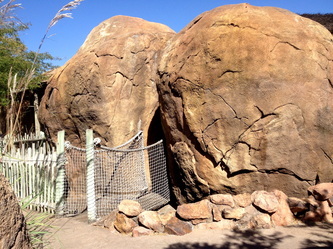 Visitors encounter wildlife spontaneously along their path through the riverbed. 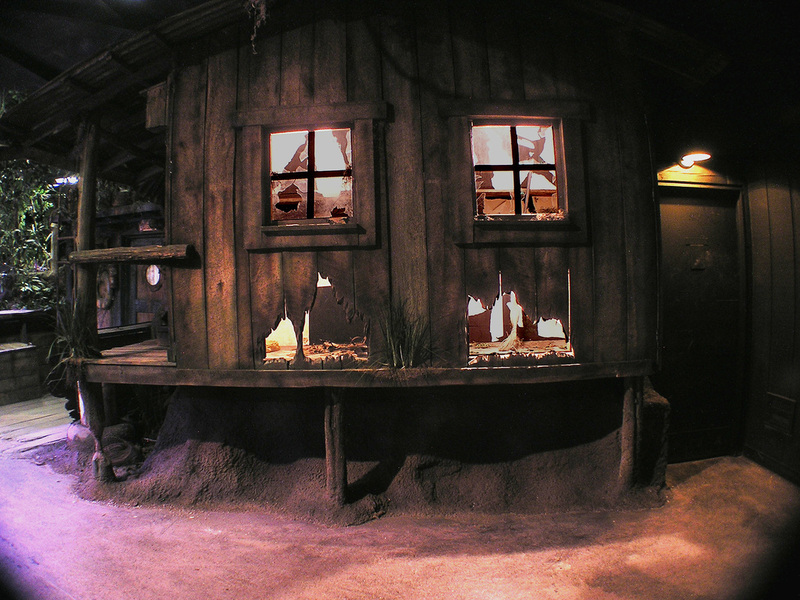 Visitors view rats and rat snakes through holes in the swamp shack. 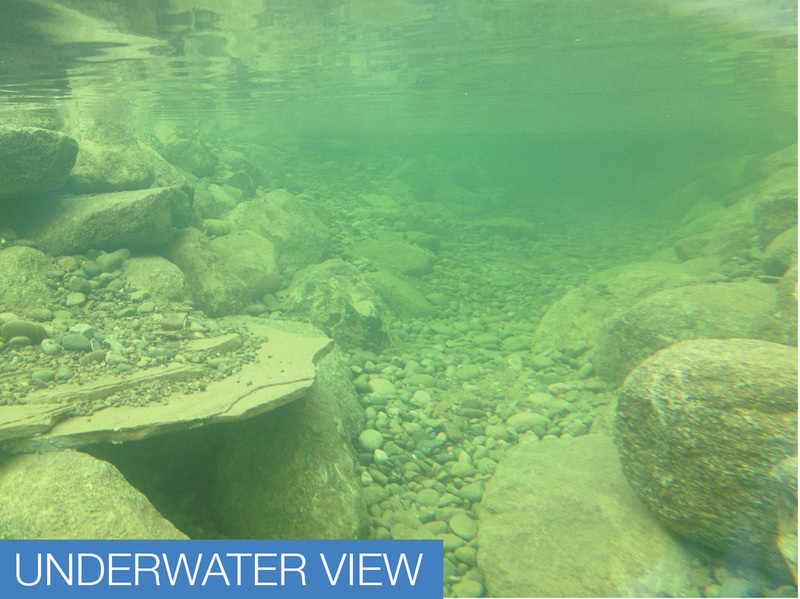 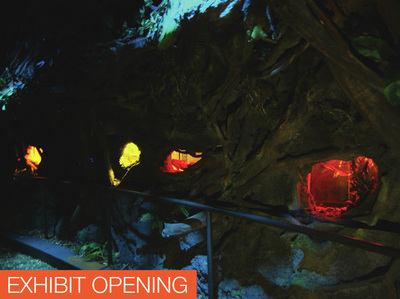 The riverbed is themed with rocks, roots, and recessed aquariums to complete the immersive experience. 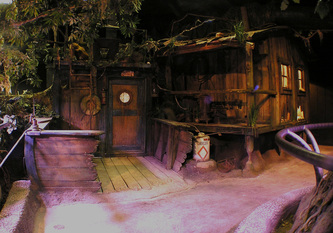 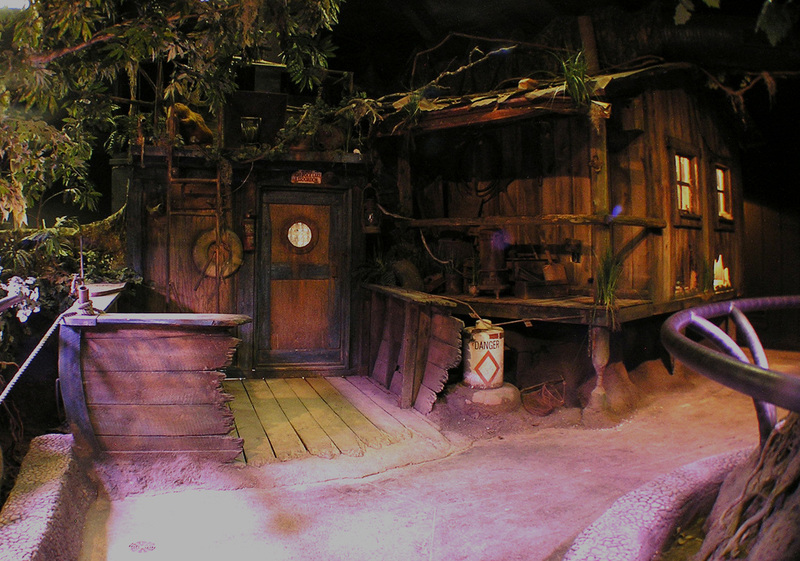 The swamp shack holds the rats and rat snakes, while disguising the building's offices! 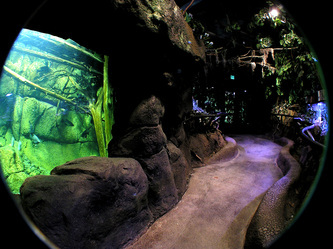 The positioning of the wildlife gives visitors the feeling of being immersed in the natural habitat. 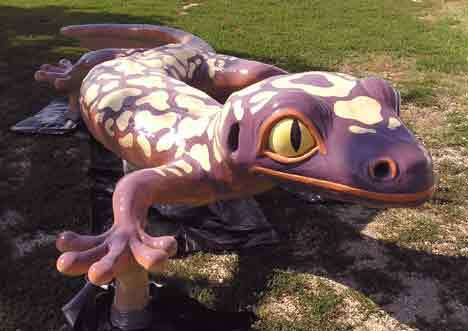 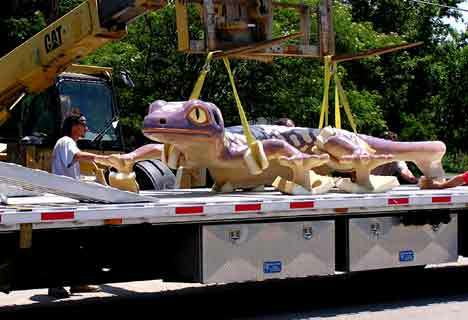 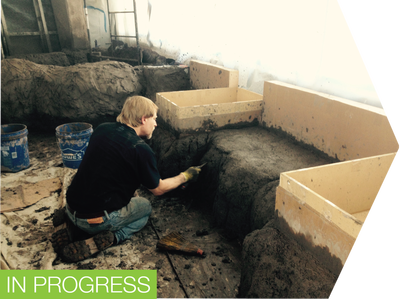 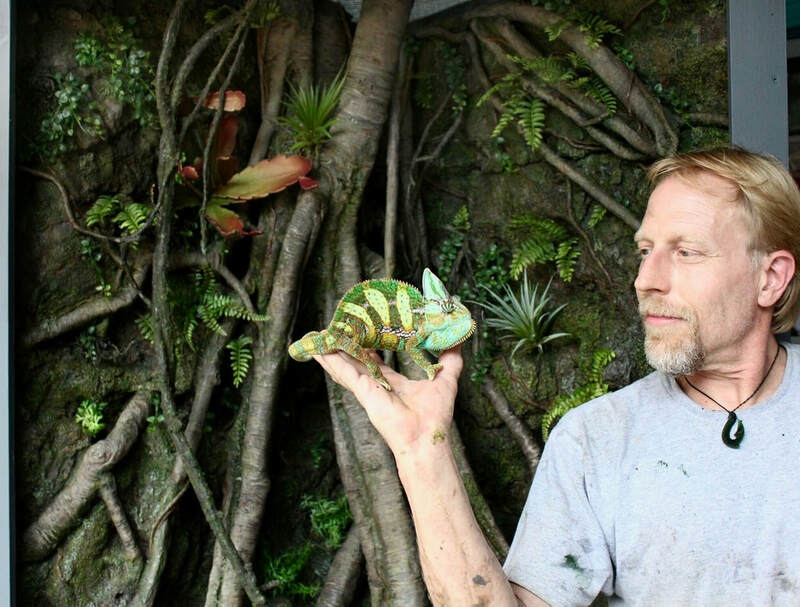 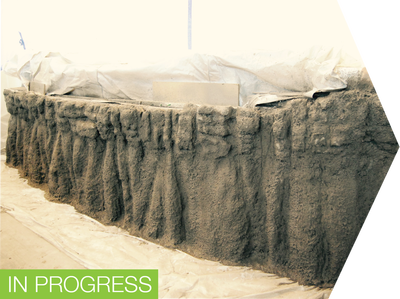 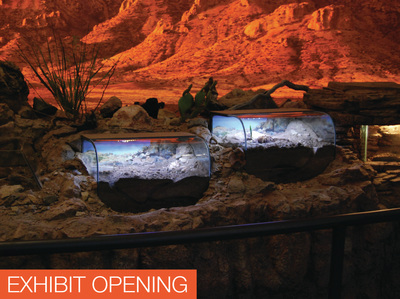 We created these museum-quality small reptile enclosures for geckos at the Micke Grove Zoo. 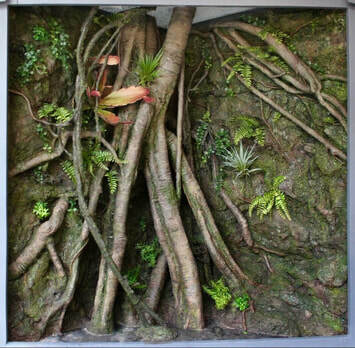 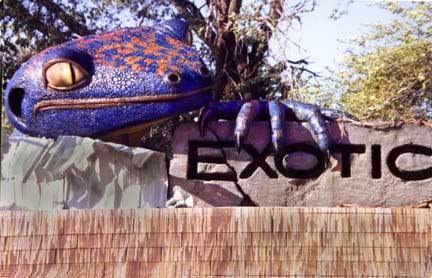 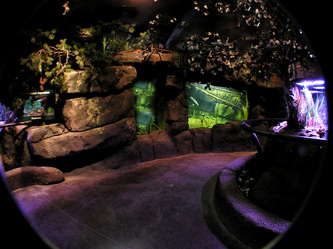 Each enclosure, which included integrated lighting and a hidden keeper access door, was hand sculpted and painted to look completely natural! 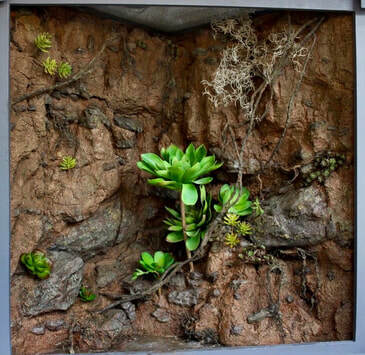 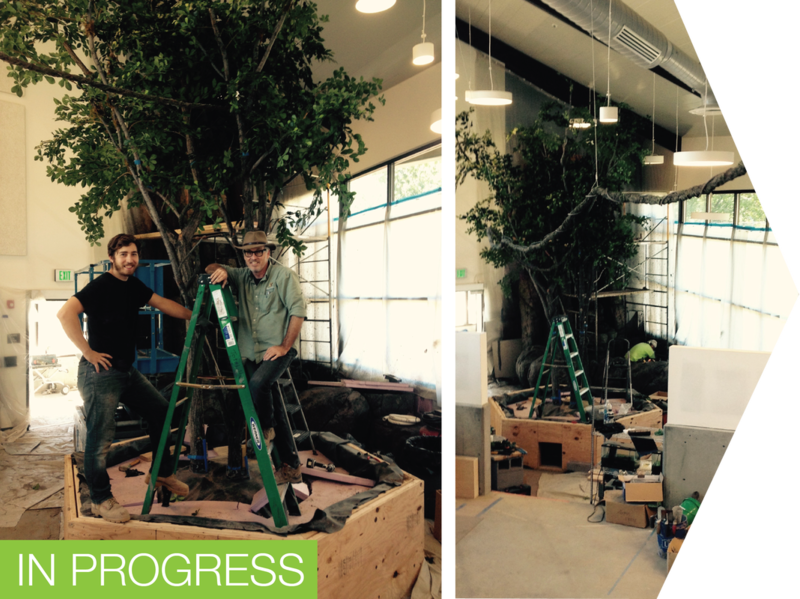 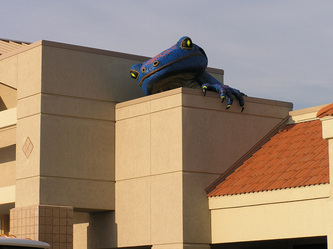 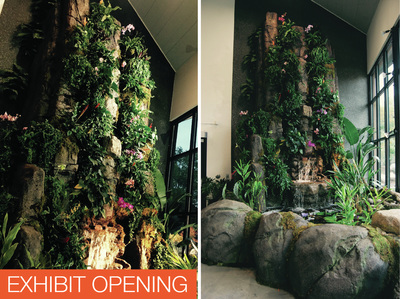 In the brand new Bugarium building at the ABQ Biopark in Albuquerque, we created several distinct exhibits within one large, open space: Desert, Tropics/Living Wall, Ant Island, Waterbug, Nocturnal Forest/Riverbank. 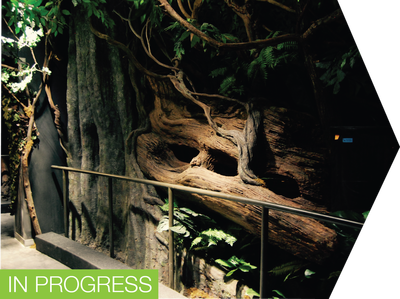 Each area is specially made to accommodate its animal residents and to immerse visitors in the specimens' natural habitats. 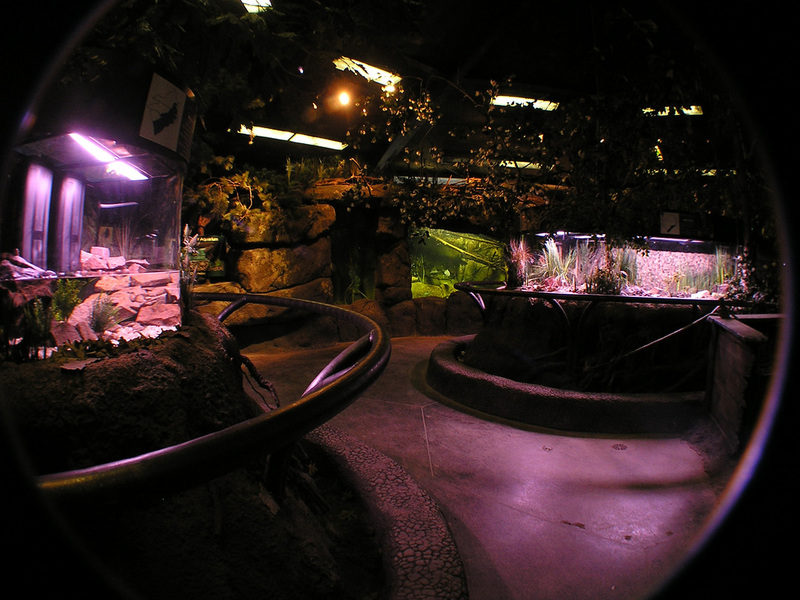 The Nocturnal rooms, for example, house creatures like giant centipedes, scorpions, tarantulas, and millipedes that are most active during the night hours, so their areas are kept dim during the day and bright overnight, to simulate daylight. 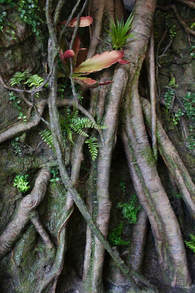 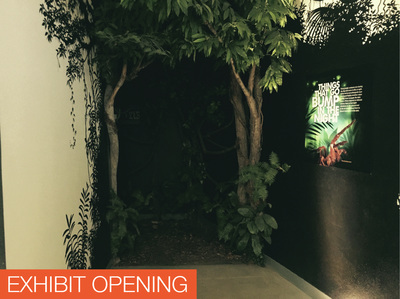 To create the immersive experience for visitors, the Nocturnal rooms are themed like a rainforest at night, complete with backlit displays, real and artificial trees, a leafy canopy above, and forest sounds echoing around the visitor as he/she moves through the space. 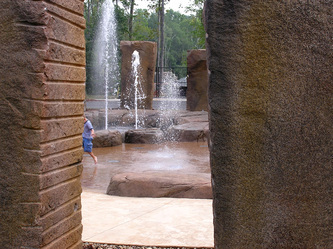 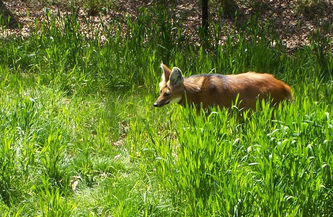 Total Habitat designed and built all of the outdoor animal exhibits for the Greensboro Science Center, including maned wolf, tiger, howler monkey, gibbon, meerkat, ring-tailed lemur, and alligator. 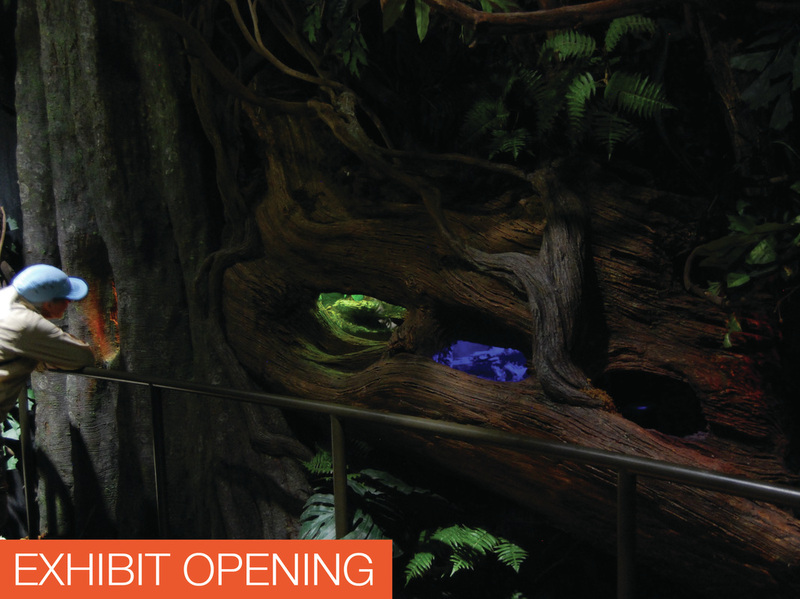 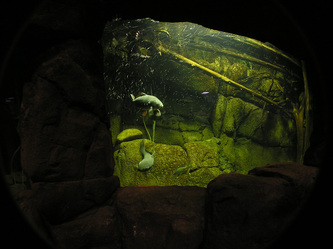 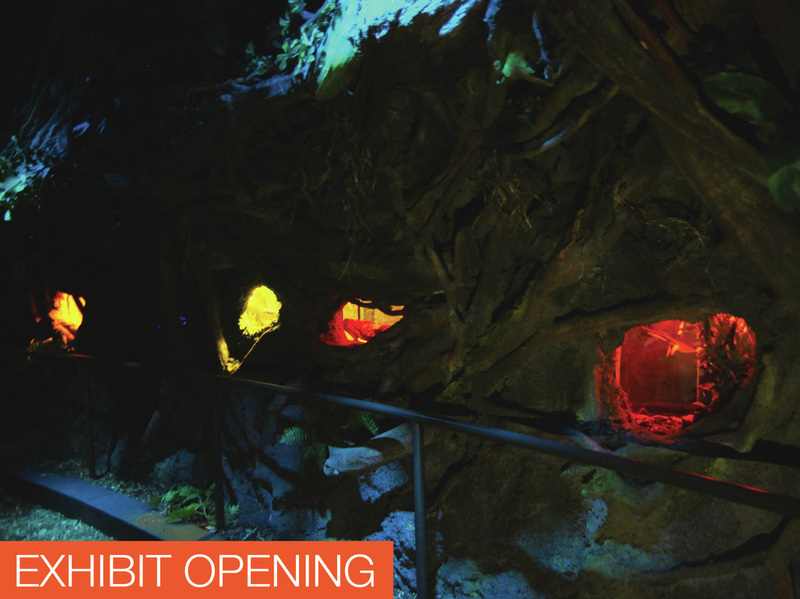 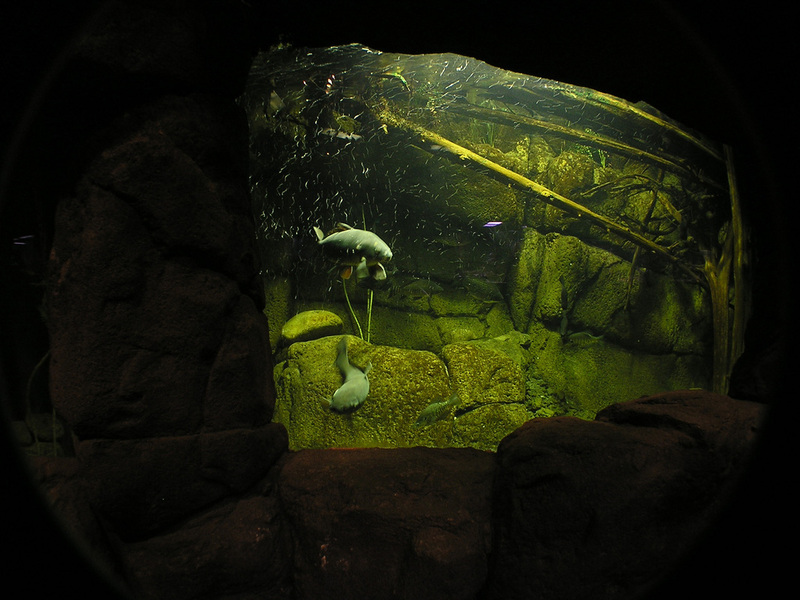 The exhibits feature ample built-in enrichment opportunities for the animal occupants. 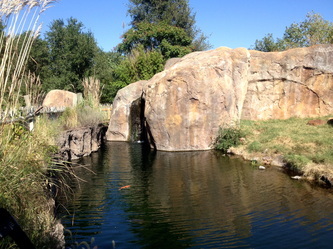 One such example is the marshy water feature built into the maned wolf exhibit. Also in the maned wolf exhibit, we were able to use various green building techniques, including solar heating/cooling and a planted roof that harvests rain water. 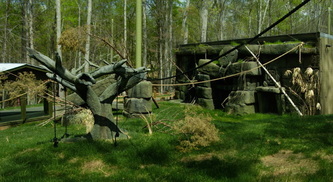 In fact, the maned wolves' holding building (pictured below) was constructed using highly-insulating, recycled styrofoam and concrete blocks! 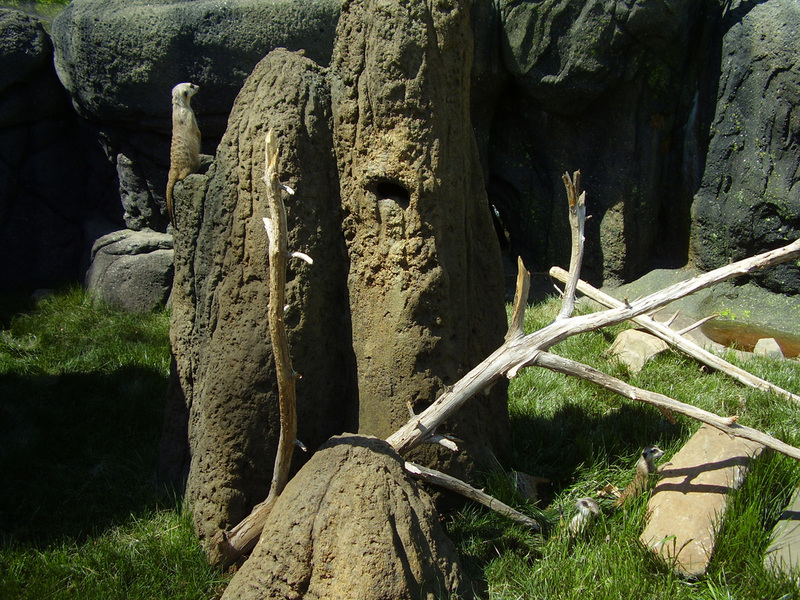 Here are the meerkats enjoying their termite mound play structure just minutes after their release into the exhibit! 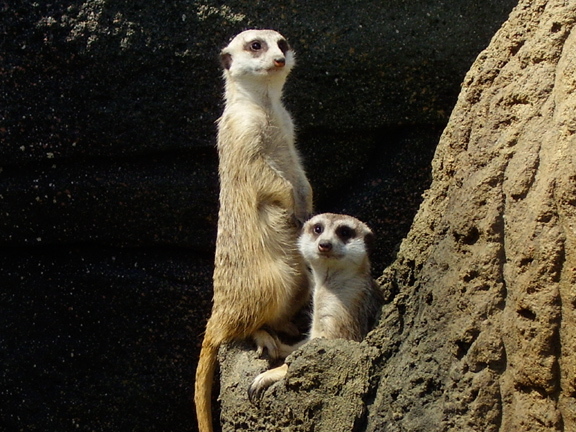 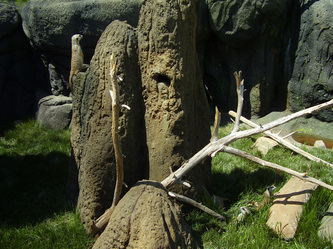 The meerkats enjoy the network of tunnels built inside their termite mound play structure. A view of the gibbon's play structure. 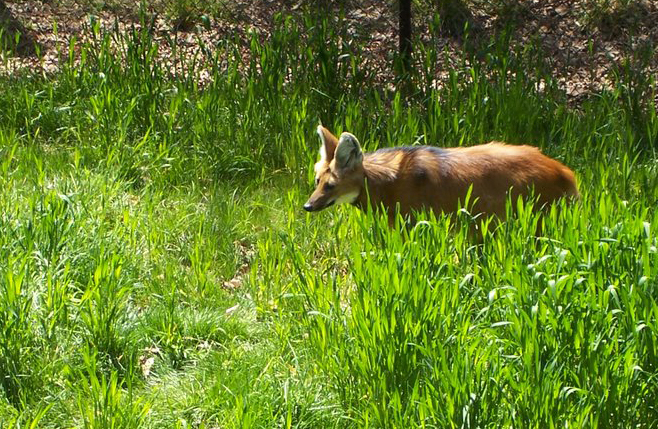 Maned wolves have received continual enrichment from their marshy water feature and reportedly bred in record time! 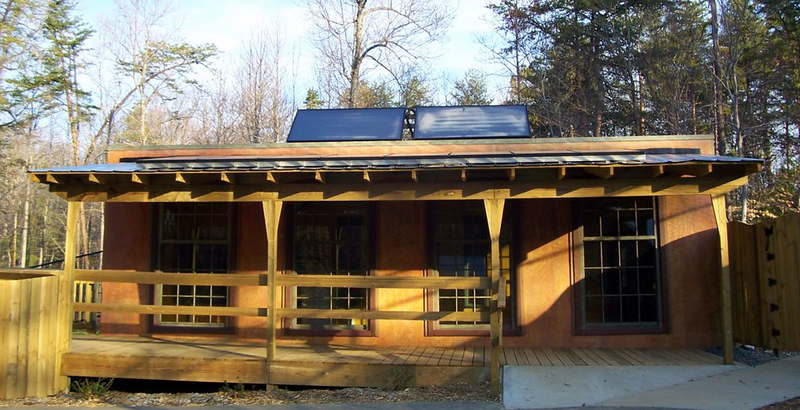 Solar hot water, radiant floor heating, highly insulated concrete block walls made from recycled styrofoam and concrete, and solar pv with buy-all sell-all net metering. 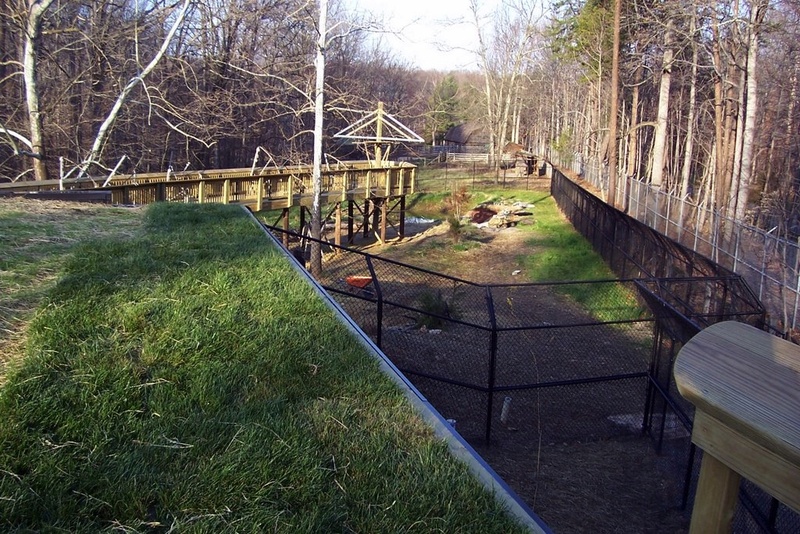 Planted roof that collects rain water and stores it in a cistern, where it is used for irrigation and the wolf's marshy water feature. 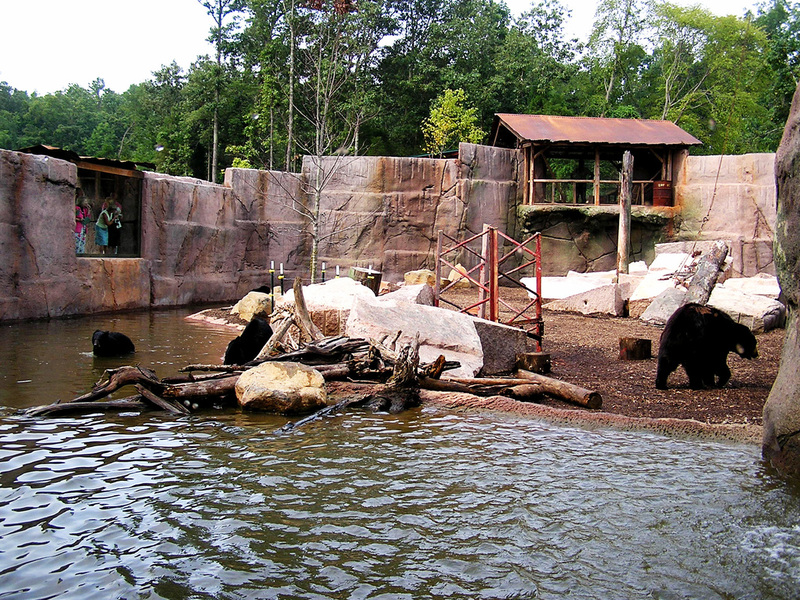 In keeping with the history of the area, this North Carolina bear exhibit is themed to look like an abandoned rock quarry. Visitors view the bears from many vantage points including from inside a cave, and from within a rickety shack, straight through an owl exhibit. Situated around the exhibit are reminders of its past as a quarry: a rusted crane, "cut" rock rubble, rickety shacks, and other abandoned pieces of equipment. 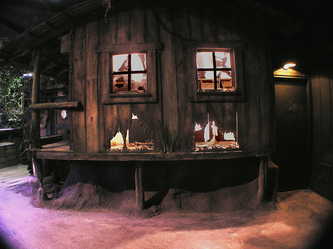 The exhibit is themed to look like an abandoned quarry that nature has reclaimed, complete with a rusted crane, seemingly rickety overlook shacks, and other abandoned implements. Birds Eye View: Visitors can also see the bears from an overlook shack that doubles as an owl exhibit. 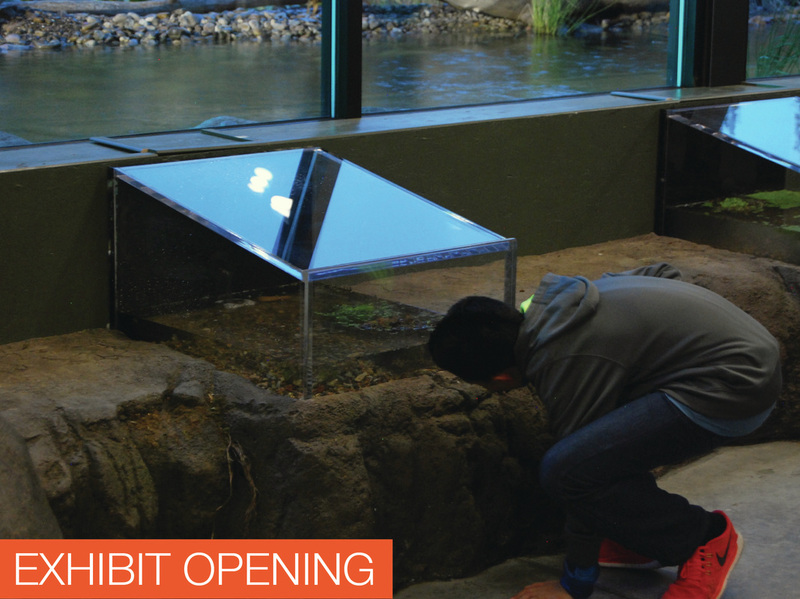 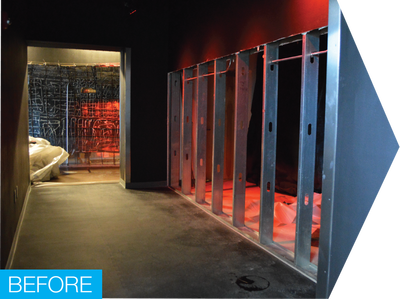 Rather than a "prison yard" view of the animals, we designed this exhibit to give visitors a sense of discovery as they navigate the space. Views of the animals are half-hidden, just beyond the next bend in the path, to simulate the more profound experience of happening upon an animal in the wild. 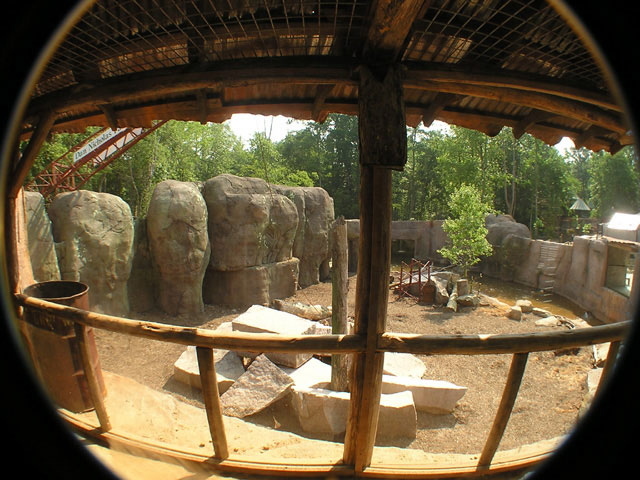 This is what we call the Engineered View, where visitors get extreme encounters with the animals every time, using purposeful positioning of the viewing areas, as well as heated and cooled rocks. 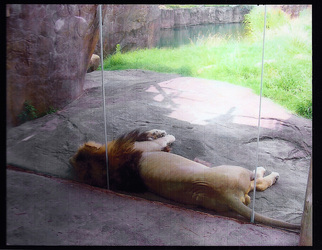 Employing these techniques, we can position the animals for a quality encounter even when they're napping! 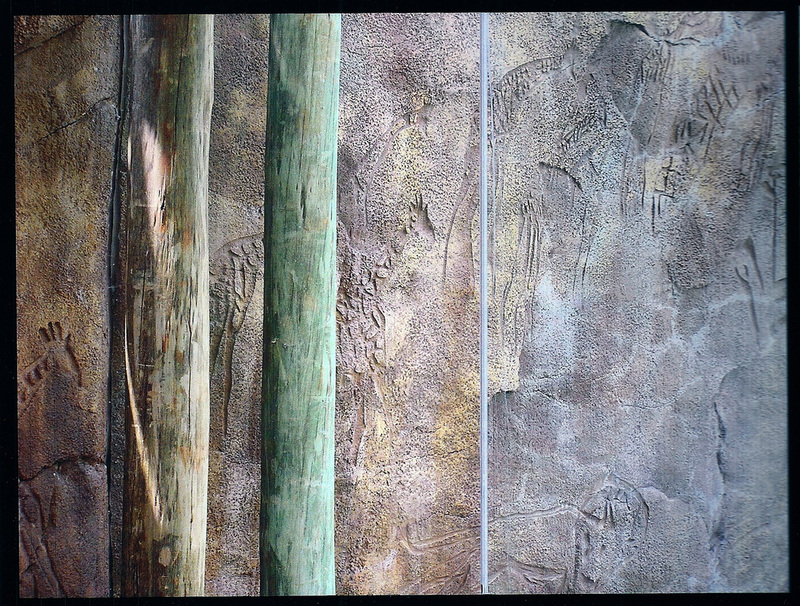 We had some fun with the carvings on the rock wall of the viewing platform! 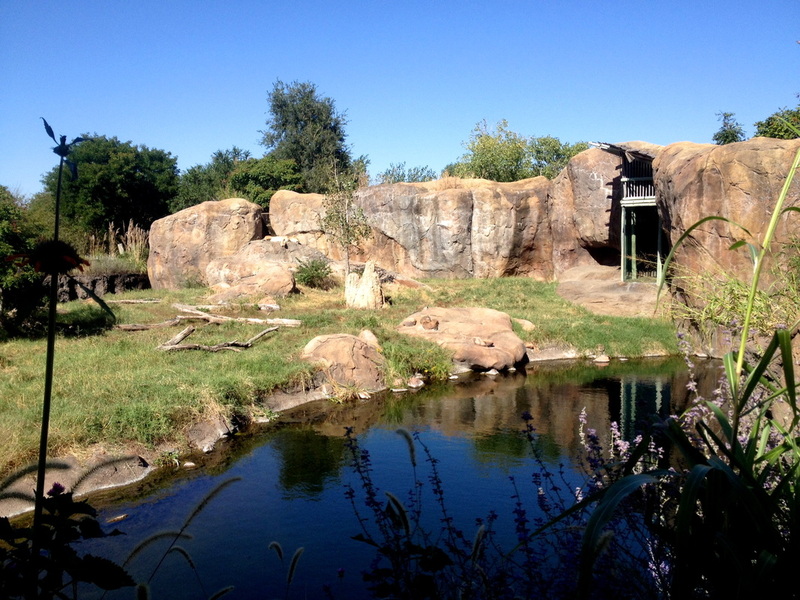 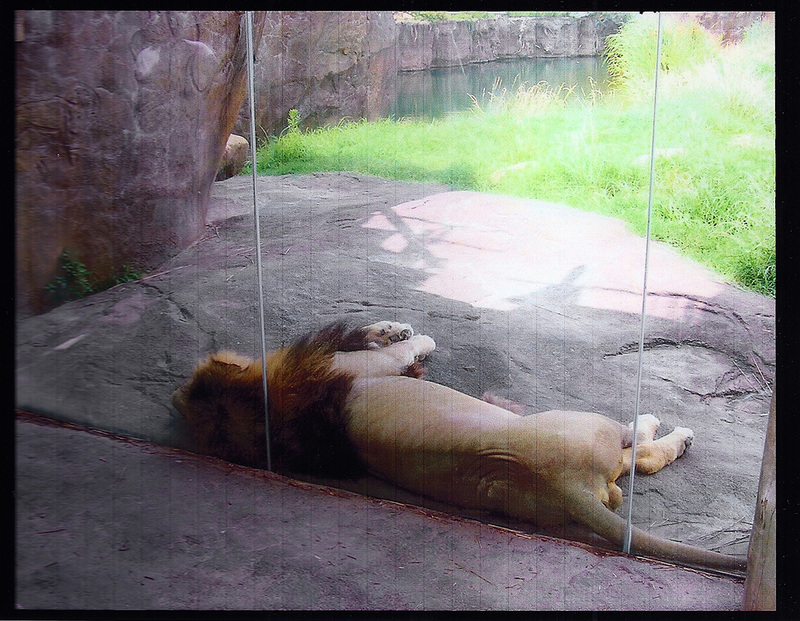 A view of the lions' exhibit from the bridge. 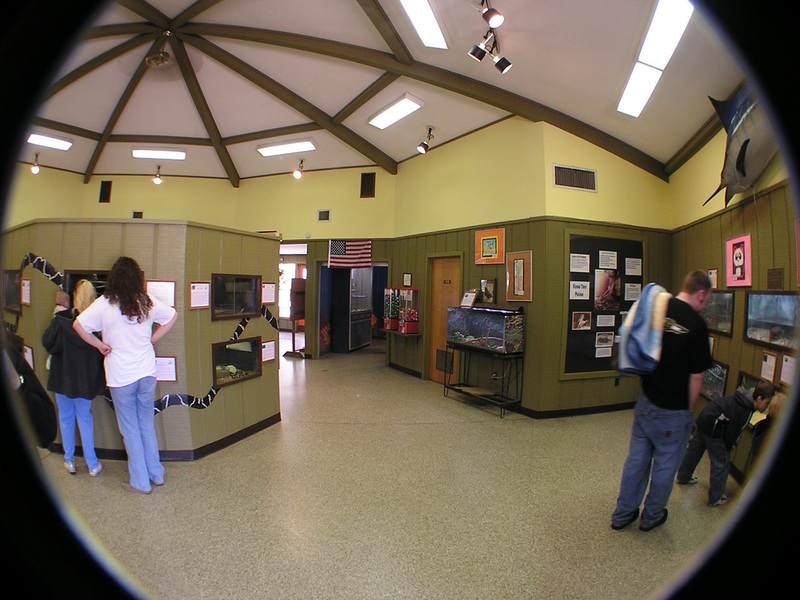 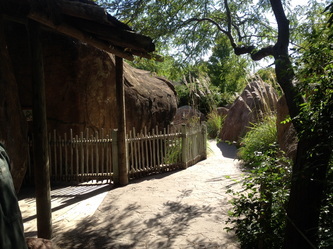 A shady path leads visitors to an animal viewing window. 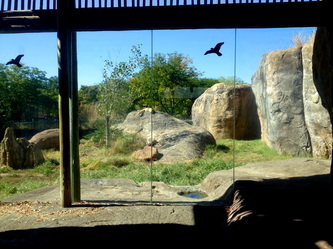 What visitors see through the largest viewing window: notice the lioness laying atop the rock ahead! 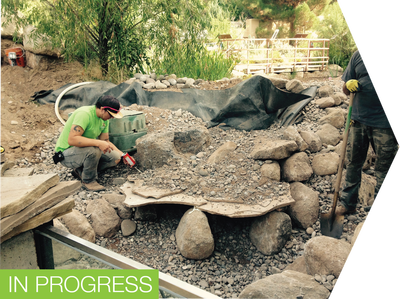 When asked to describe what we do exactly, it's hard to give a simple answer because we do a little bit of everything! 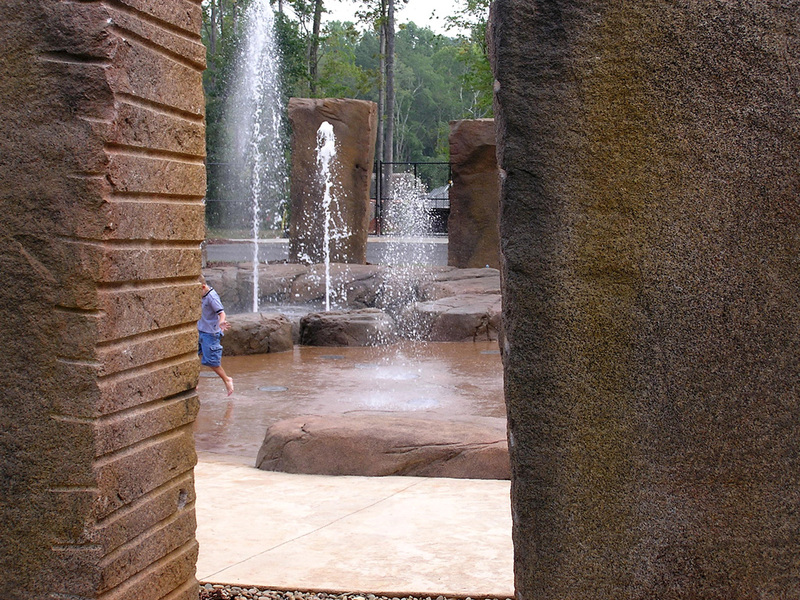 Over the years, we've worked with zoos, nature and science centers, botanical gardens, cities, architects, homeowners, and many others, on projects of all kinds. 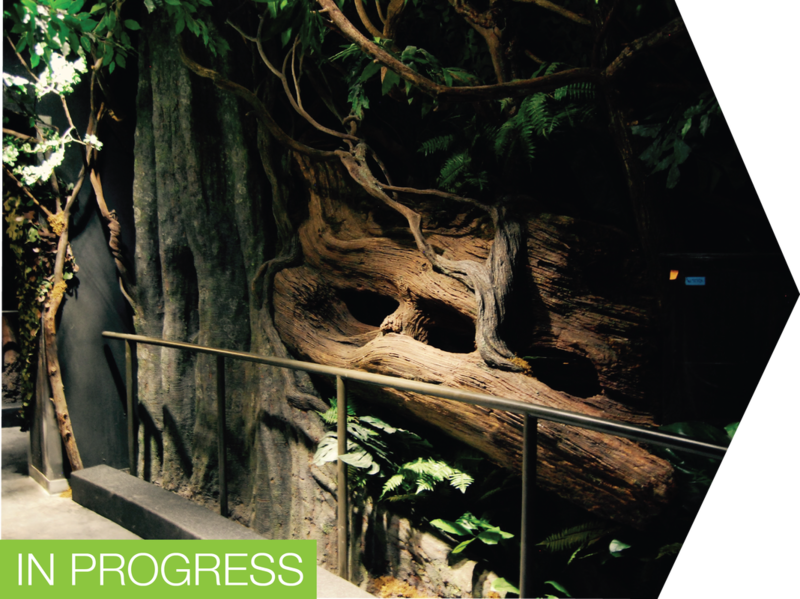 We've developed our own set of field-tested design methods which we are able to apply to any project that comes our way, no matter how obscure. 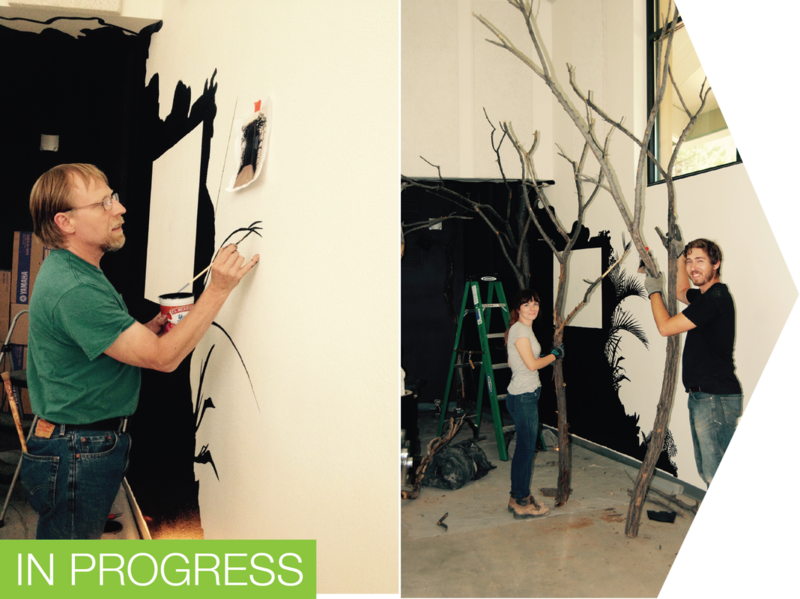 At Total Habitat, we always look forward to new, exciting challenges and we welcome yours! 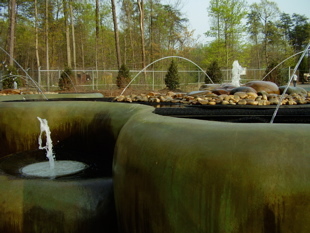 An interactive fountain. 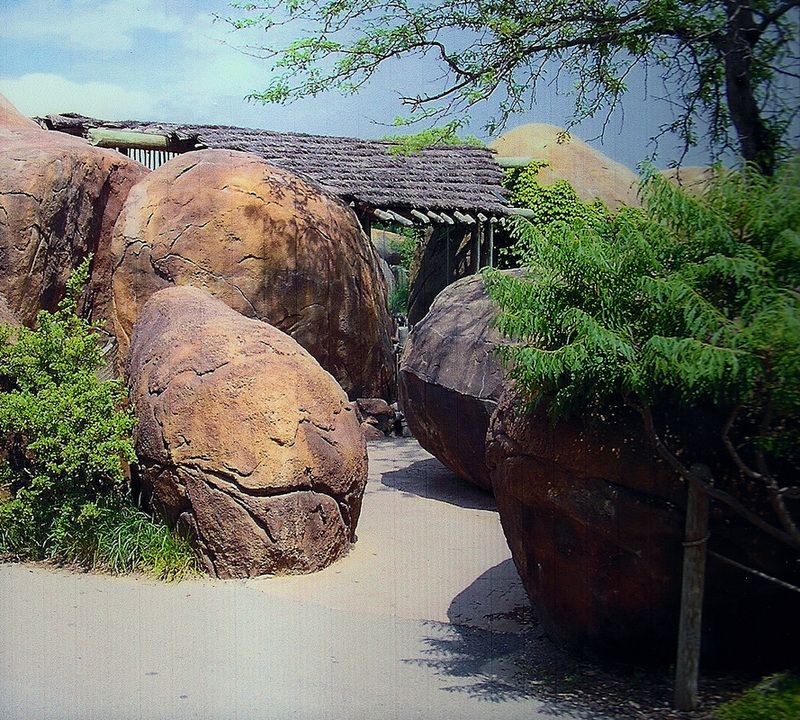 The pots are actually concrete, just themed to look ceramic!